Item # 311881 Stash Points: 3,995 (?) This is the number of points you get in The Zumiez Stash for purchasing this item. Stash points are redeemable for exclusive rewards only available to Zumiez Stash members. To redeem your points check out the rewards catalog on thestash.zumiez.com. 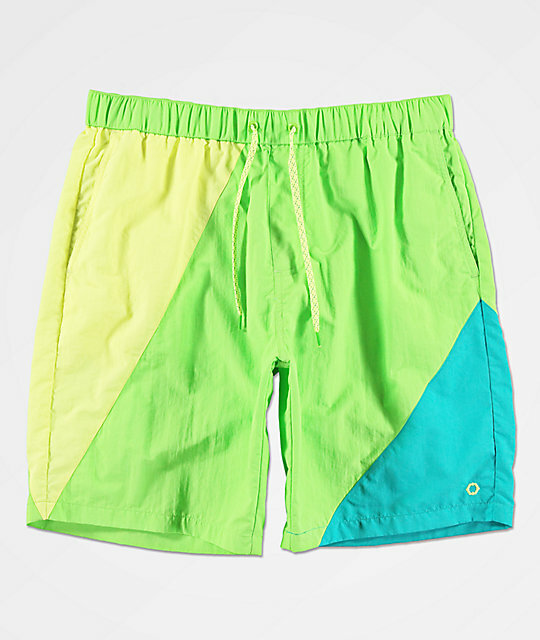 Give your beach going looks a fun splash of color with a pair of Empyre Offguard Green & Blue Board Shorts. 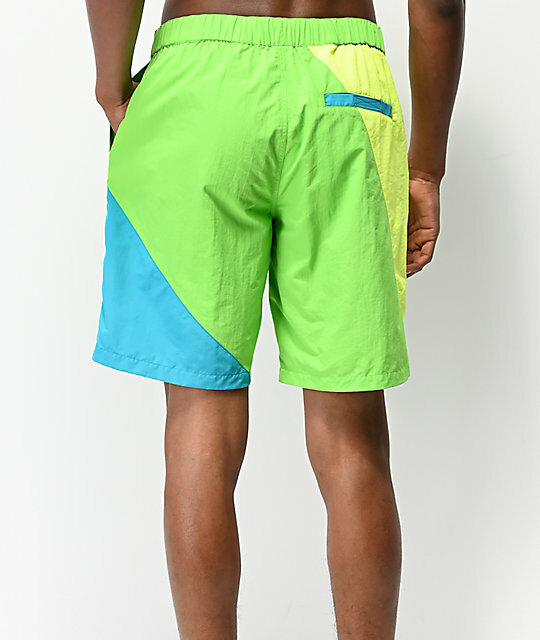 Blue and green colorblocking throughout offers tons of vibrant color while two front and one rear pocket ensure plenty of space for your daily off-hand items. 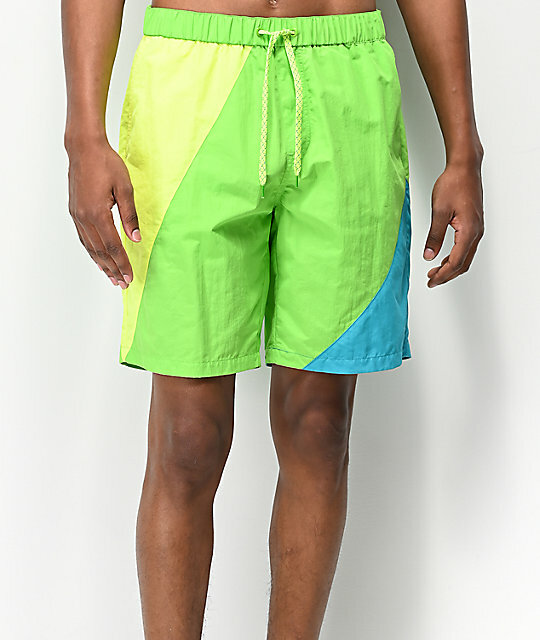 Finished with a thick elastic waistband and polyester mesh interior lining for maximum comfort, these are soon-to-be your new favorite swim trunks. 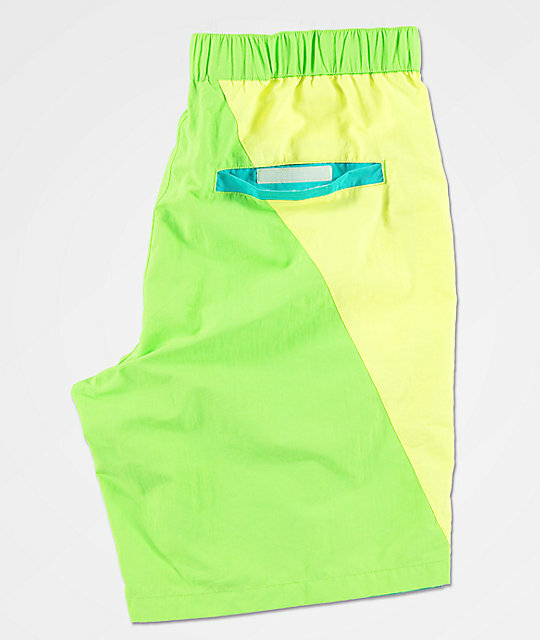 Offguard Green & Blue Board Shorts from Empyre. Embroidered logo emblem on front left leg. Green and blue colorblock construction. Two front hand slash pockets with concealed zip closure and mesh lining. Right seat hook and loop fastened pocket with hidden bungee key loop.